Check out the recipe and give it a whirl. *NOTE: When it says to use drops with the mint extract, it literally means drops. I actually have purchased an eye dropper from the pharmacy to use for cooking purposes only! It’s a GREAT little tool to use with kiddos too. 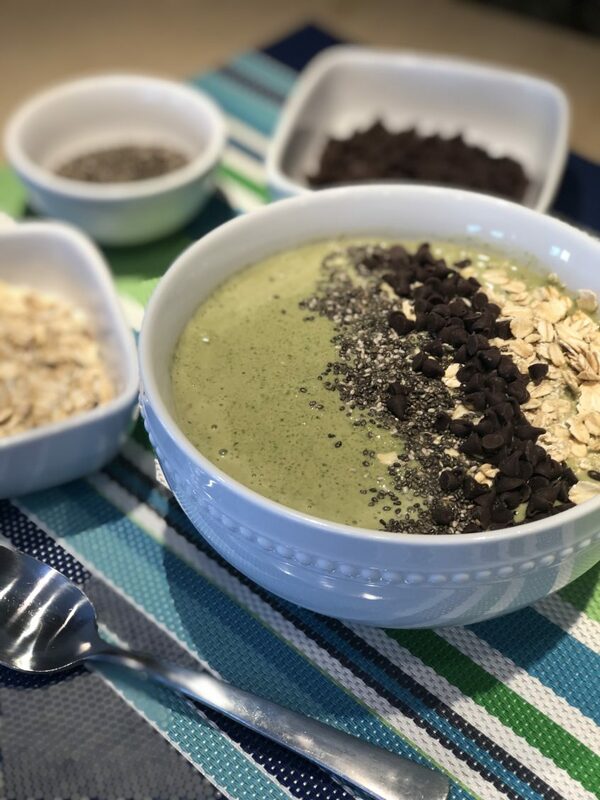 Looking for more fun Smoothie Bowl options? Check this recipe out! It’s my Peanut Butter and Jelly Smoothie Bowl Blend with fresh frozen strawberries = LOVE IT! Click here to grab the recipe & blend it up for more delicious spoon slurping yum. This will be a delicious smoothie bowl and looks so pretty! Thanks so much for sharing your post with us for our special St. Patrick’s Day Full Plate Thursday! Have a great week and come back soon.